Whether it’s your favorite restaurant, store, or car dealership, it’s likely that at some point, you’ll feel a need to make a complaint, return something, or ask to have something replaced. No matter how hard they try, every business encounters problems that need to be addressed. This is also true in the service industry—even here at Secondwind. We know we make mistakes, and water doesn’t always behave the way we expect it to. 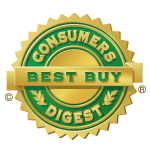 We also know that companies like ours maintain a positive reputation and good relationships because of our commitment to customer service and quality assurance. 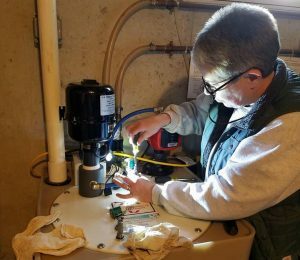 “While our customers like us, they don’t want to have to think about their home water treatment equipment all the time,” says Vicki Coltey, Quality Assurance Manager at Secondwind Water Systems. Coltey explains that customers want their equipment installed without incident, so they can check it off their list and only have to deal with routine servicing over the years. “They simply want to love their water and do not want to have to see us over and over again,” she adds. Coltey points out that Secondwind’s employees are homeowners too, and understand this sentiment on a personal level. “So, we make a serious investment in quality assurance to ensure we’re able to limit problems, and when they do arise, handle them seamlessly and with as little hassle as possible for the customer,” she explains. In 2015, Secondwind began focusing on quality assurance and service issues intentionally, and has made great strides since that time. Under Coltey’s leadership, the Secondwind team started a formal quality assurance initiative by studying the number of callbacks to customer’s homes, and the types of issues involved. “I knew that if Secondwind was going to make this kind of commitment to our customers and employees, we had to put someone in charge of the process,” says Christine Fletcher, President and Founder of Secondwind. Coltey, one of Secondwind’s most senior employees, was a natural choice for the newly-created position. “Adding a quality assurance manager position highlighted the importance of having a company-wide focus on accountability,” she notes. Coltey, who started out installing water treatment equipment 26 years ago, became a certified water specialist before heading up that department. Over time, she began working with the customer service team. Eventually, Coltey invested in the business. “This combination of experience, longevity, and personal investment in Secondwind, gives Vicki a unique perspective when it comes to seeing and understanding the overall systems within our company,” Fletcher adds. As a company, Secondwind got to work. We started to identify common problems and created a formal, systemized way to manage them. “As with many small and mid-sized companies, for many years we felt we were chasing our tails a little bit in terms of catching up with the problems that arose with our customers,” Coltey explains. Secondwind Quality Assurance Manager & Part Owner, Vicki Coltey, returned to the field and serviced systems for nine months to gain further insight into our company processes. In the last three years, Secondwind has reduced its callback ratio from 17% to 10.3%. Our goal for next year is to get below 10%. “Since we started this formal initiative, we’ve developed a company culture that’s truly focused on process improvement,” Coltey says. “Every single employee is always thinking about how to improve things in their aspect of the business, and how they can help others. We all see our interconnectedness and are always thinking about how we might make things better for our customers and each other,” she adds. How does this benefit our customers? “Basically this means there are fewer and fewer problems a customer might encounter,” Fletcher explains. “But when there is a problem, you can count on us to solve it—helpfully, quickly, and with a smile,” she adds. Coltey is quick to point out that everyone in the company has fully bought in and engaged with the quality assurance process to make these advancements happen. “Essentially, I see myself as an advocate for both our customers and our employees,” she says. “My main role is to help make everyone’s job easier, and create integrated systems so we can meet the needs of our customers, both in the best of scenarios and in the not-so-great scenarios that are bound to crop up,” she notes. For over 30 years, Secondwind has installed, repaired, and serviced home water treatment systems throughout New Hampshire. 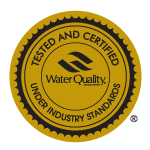 Our team has an outstanding commitment to quality assurance and service and our water treatment system designs and Kinetico equipment are second to none. If you are concerned about the safety and quality of your drinking water, contact the Secondwind team to determine the best system for your particular needs and budget. The starting point for improving your water quality is testing. Your free in-home water test is conducted by one of our friendly Certified Water Specialists and includes testing for hardness, pH, tds, iron, manganese, chlorides, and alkalinity.